Amazon has ​Samsonite Aspire Xlite Spinner 19, Black now for $69.99 via extra $5 Off coupon (Was $99.99),can enjoy free shipping.Four multi-directional spinner wheels for easy mobility. 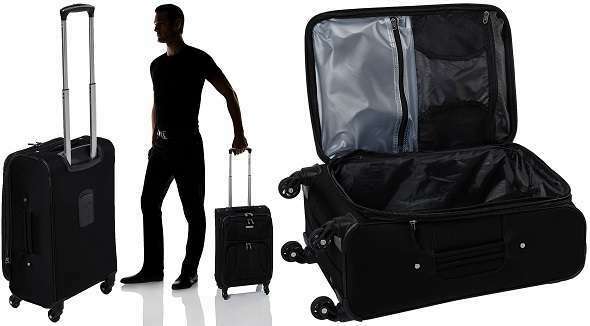 Rolls upright so there is no weight on your arm or shoulder.Fully featured interior includes wetpak and mesh pockets for increased organization.Padded top and side carry handles provide comfort when lifting a fully packed case.Body Dimensions: 19.0 x 13.5 x 8 inches. Overall Dimensions: 22.0 x 13.5 x 9.5 inches. Weight: 7.5 pounds.